Firstly, let's talk about the mastering. 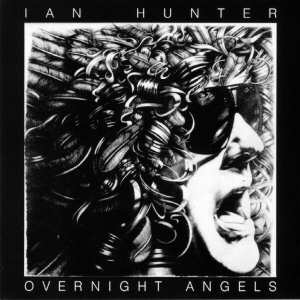 The sound on this, Ian Hunter's third solo album, released at the height of punk in 1977, has always been awful. It was then and it is now. Now remastering appears to have taken place. Hunter's other albums sound fine but "Overnight Angels" sounds tinny, muffled and decidedly lo-fi. Shame. On to the music. 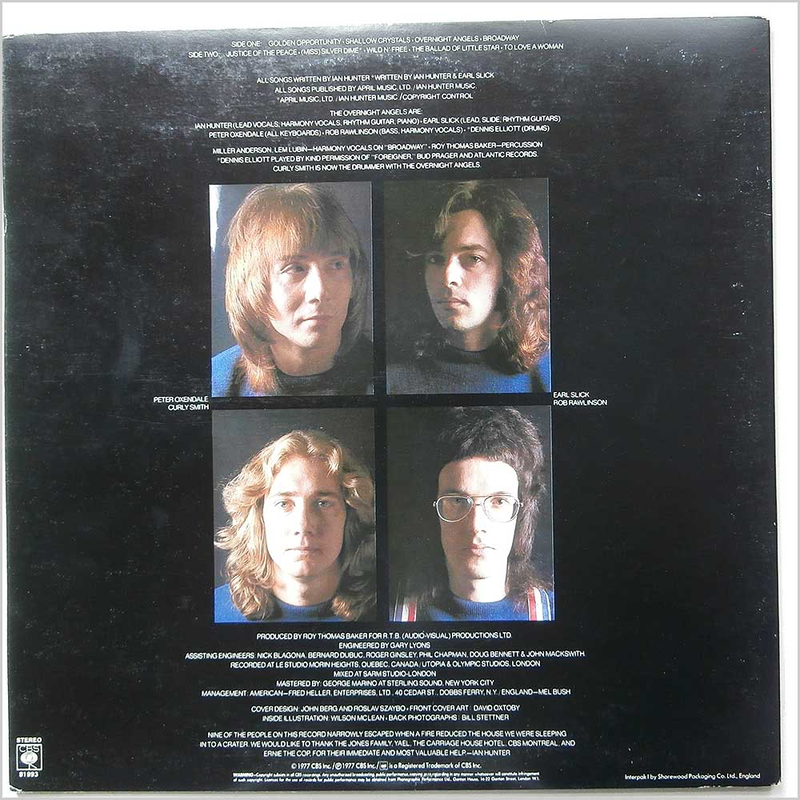 "Golden Opportunity" has a great extended piano and guitar intro and is a storming rocker. 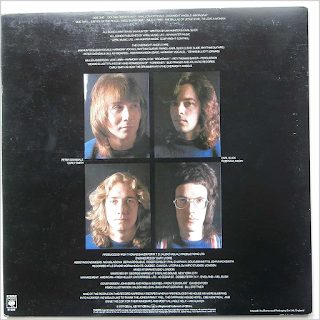 The Oedipal "Shallow Crystals" is a classic Hunter rock balled. The title track rocks and rocks BIG. Probably the best sounding cut on the album. Unfortunately, it is followed by "Broadway", a dramatic Hunter "build-up" ballad ruined by dreadful production. "Justice Of The Peace" is a tongue-in-cheek rocker and "Miss Silver Dime" is the big production power track on the album. The rest of the album peters out somewhat. Hunter tries to show he has his finger on the contemporary music pulse with the supposedly punky "Wild And Free". All he does, however, is sound like a (comparatively) ageing rocker trying to play "fast" and spit out lyrics. Hunter didn't need to do this. Nothing like it appeared on his next album, which saw a rise in quality both musically and production-wise.